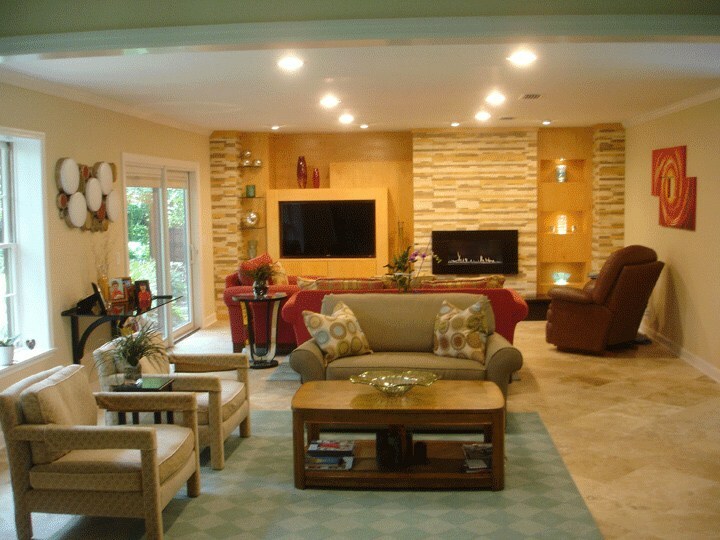 Renovating an entire house isn’t an easy feat – even more so than building from scratch. Trying to create the vision you imagine while adhering to the limitations of the current structure can be a nightmare – “can” being the key word. Bob and Sandra had their perfect design in mind and nothing was going to stop them. From the beginning, the only item they were absolutely sure of was the Escea ST900 fireplace. When they first approached the Architect, Bob remarked “we want this fireplace, so you need to build around it”. And the rest is history. Needing a fire wasn’t the problem. Bob and Sandra already had a fireplace; the problem was they wanted a clean, timeless, contemporary upgrade to their living room, which their current fire just did not support. 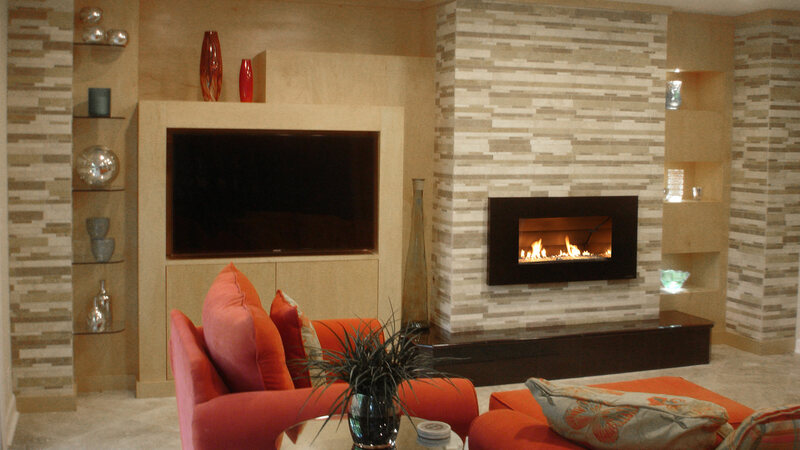 It started with a google search: contemporary fireplaces; modern fires; stylish fireplace designs. Zilch. “I looked at a lot of websites and a lot of fireplaces”. Yet nothing took his fancy. Then it appeared, Bob found the Escea ST900 on our website. It did everything the couple wanted it to do. It was modern, it suited their renovated kitchen, and it matched their vision. Even better, the lower heat settings meant it wouldn’t overheat their living space, so they could still enjoy flame, comfortably. In contradiction to what the Architect suggested, Bob and Sandra decided to place the TV beside the fire. Although it wasn’t advised, Bob and Sandra love being able to see the TV and fireplace side-by-side. The Escea ST900 fireplace’s Volcanic Black Ferro fascia inspired further black accents throughout the room seen in the black hearth and kitchen bench top. In addition, the Transparent Crystalight fuel bed was selected to enhance the modern design style as well as reflecting the glassware situated around the room. Located in the southern portion of the U.S.A, Bob and Sandra don’t see a lot of the cooler months. However, they didn’t want to sacrifice having a fire. And what is the point of having a fireplace which you can’t turn on. That’s why the ST900 was again the perfect addition. The Escea ST900 acts as the ideal ambient fireplace and a secondary heat source. This way they didn’t have to compromise their flame for comfort. On the last note of the conversation I learnt Bob and Sandra were celebrating their 47th marriage anniversary. They had just been out for dinner and still took the time out of their evening to have a chat. Sandra sat beside Bob throughout the conversation filling in the gaps and offered insight when necessary. However, Bob was quick to tell me how much they loved stainless steel cleaning wipes which come packaged with the fire – something she hadn’t thought to mention :). Even over the phone, the conversation was vibrant and friendly and a complete pleasure. Congratulations Bob and Sandra. Escea wishes you many more happy years.